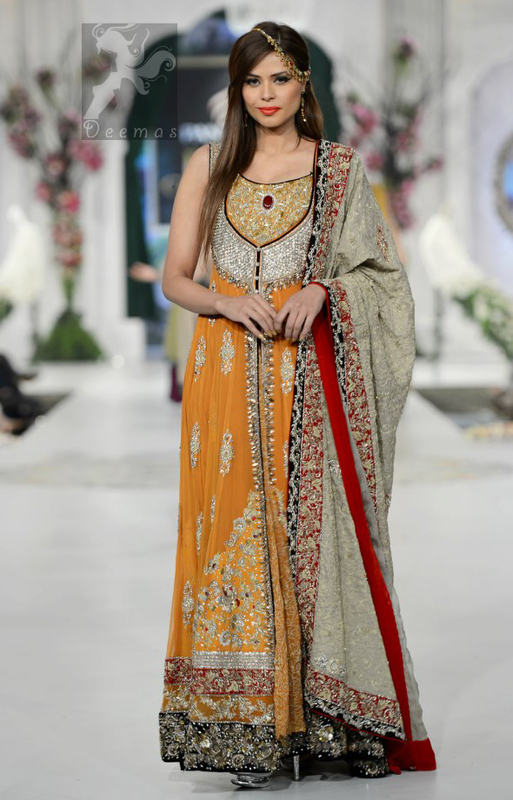 Tags: Bridal, Fawn, Front Open, Gown, Mehndi Mayon Henna, Orange. Orange pure chiffon front open gown. Gown has been adorned with embellished neckline and borders on hemline. Fawn Banarsi dupatta. 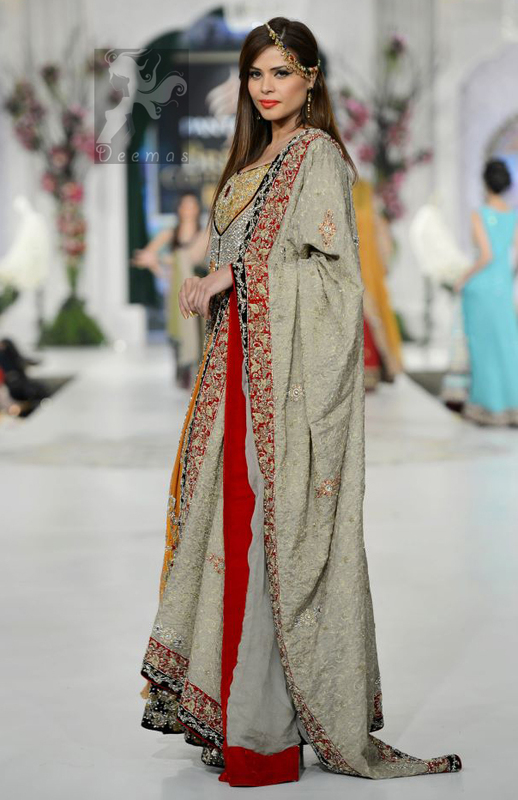 Dupatta having four sided embellished borders. Small motif spray scattered all over the dupatta.